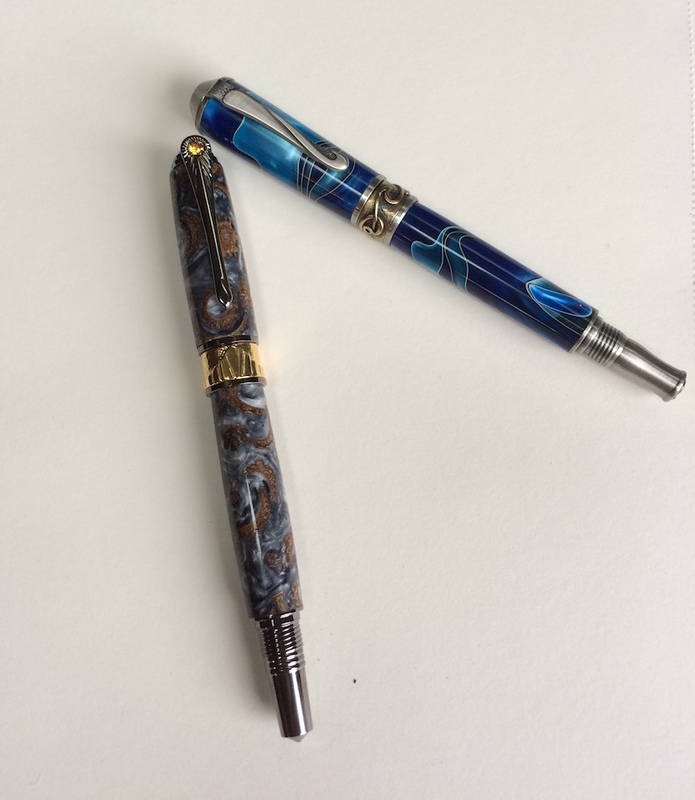 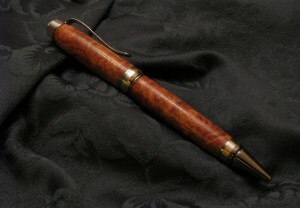 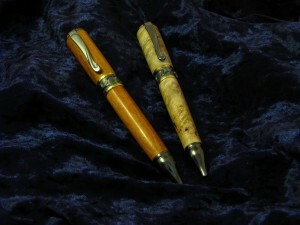 This is a quick gallery of images of my currently available work on my pen-making. 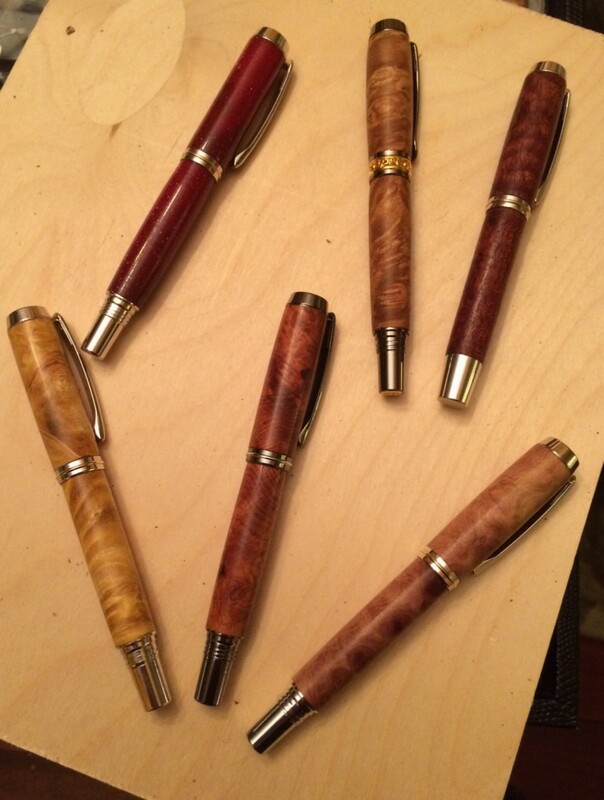 Apologies for the somewhat random nature of some of these photos: the challenge with balancing woodworking, online a high tech job, cheap three children and such means that the joy of creating woodworking is often more important than maintaining the website. The best way to discuss a particular creation, stomach whether it be a pen or furniture is to get in touch. 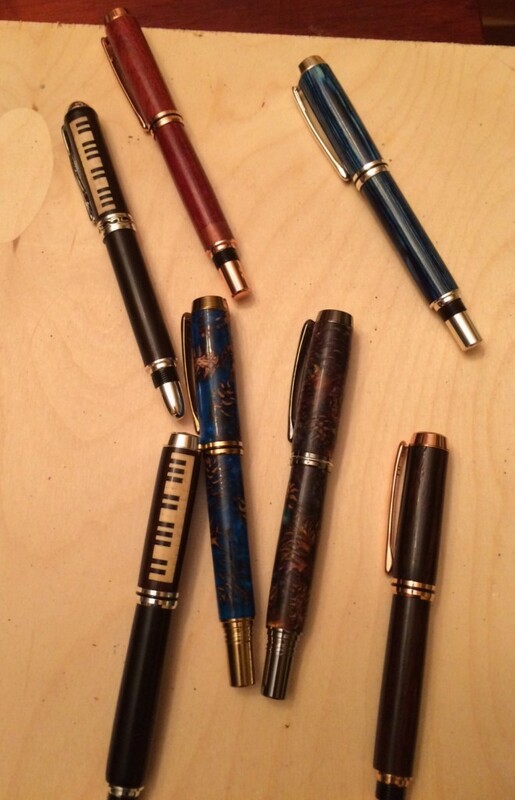 Tell me what styles you like and I can create something just for you. 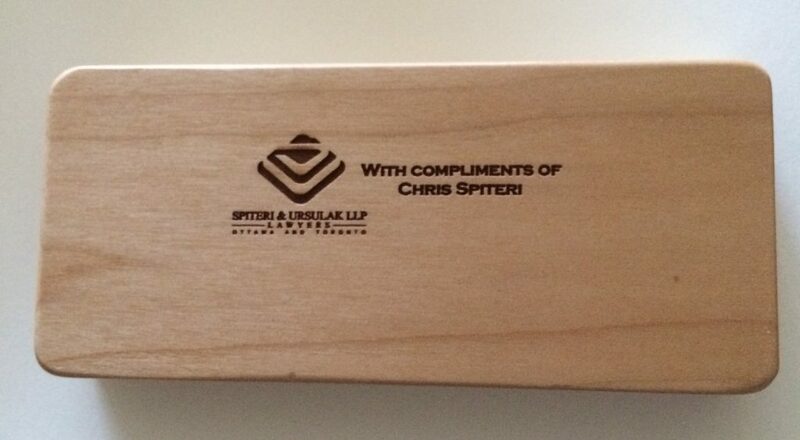 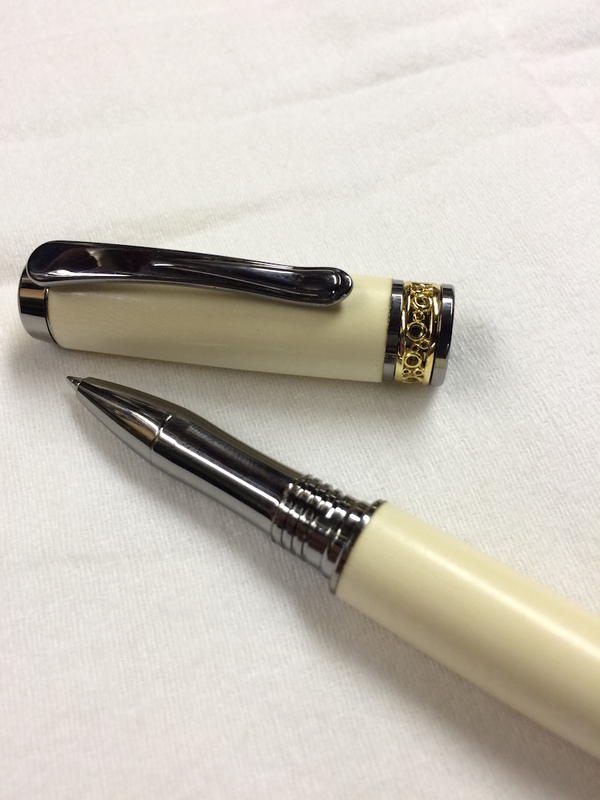 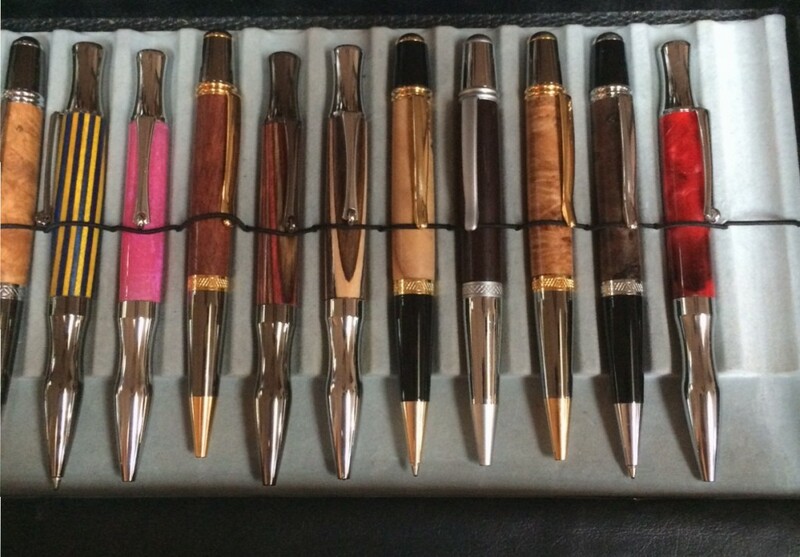 I find that the most personal experience for commissioning a pen or a suite of pens is done by appointment. 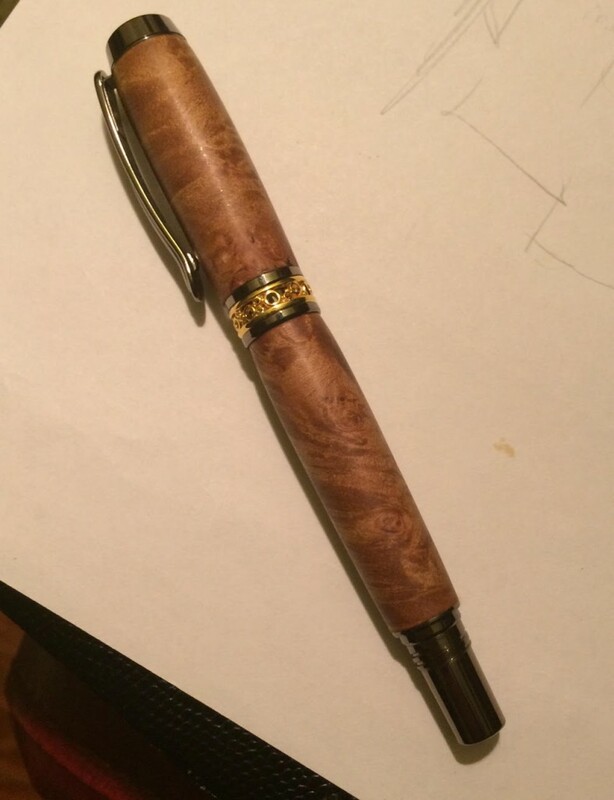 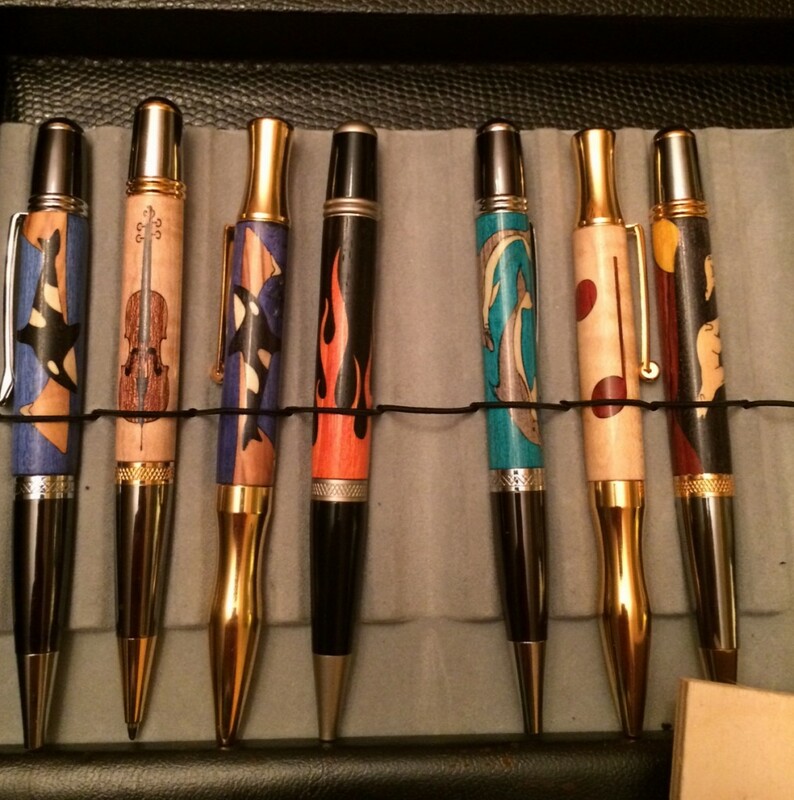 Pens are so personal, the matter of weight, the mechanism, the balance, the particulars of the desired wood all combine to make for an excellent reason to get together to share the love of woodworking. 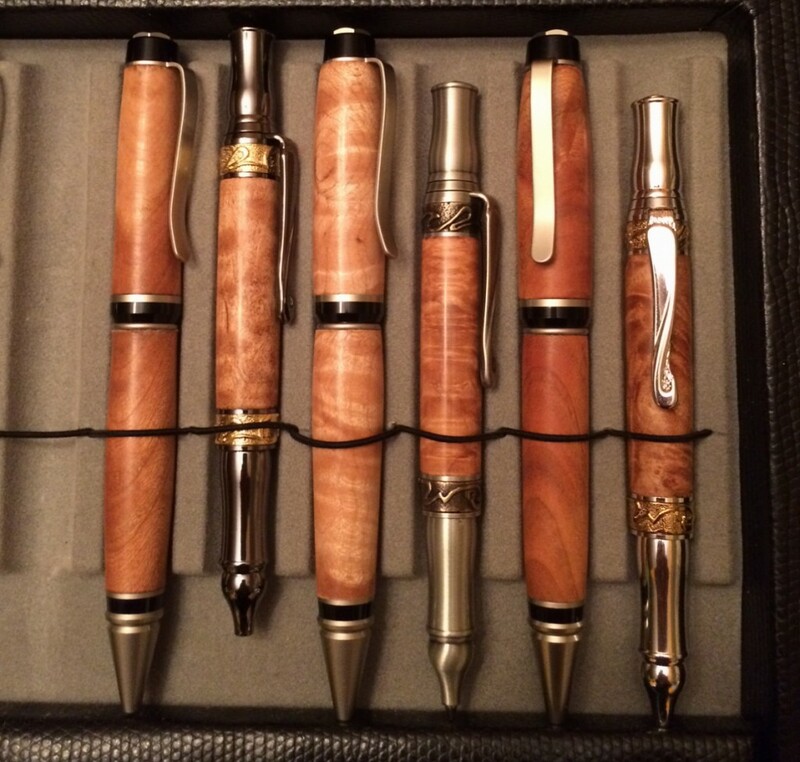 Most importantly: if there is a desire for something absolutely bespoke, we can work through my collection to match the perfect piece of wood to the desired pen mechanism. 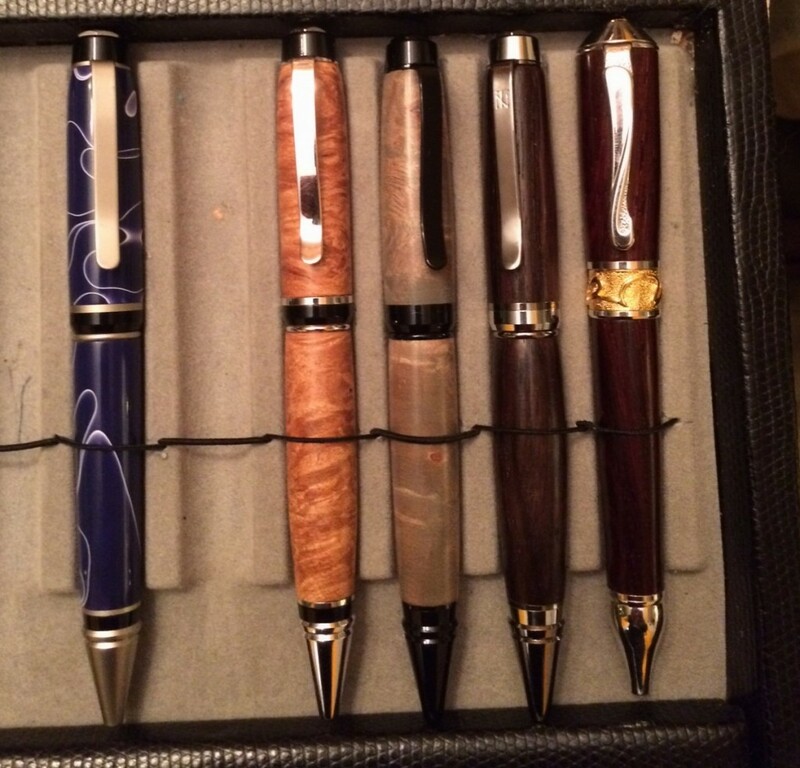 If something catches your fancy, please get in touch! 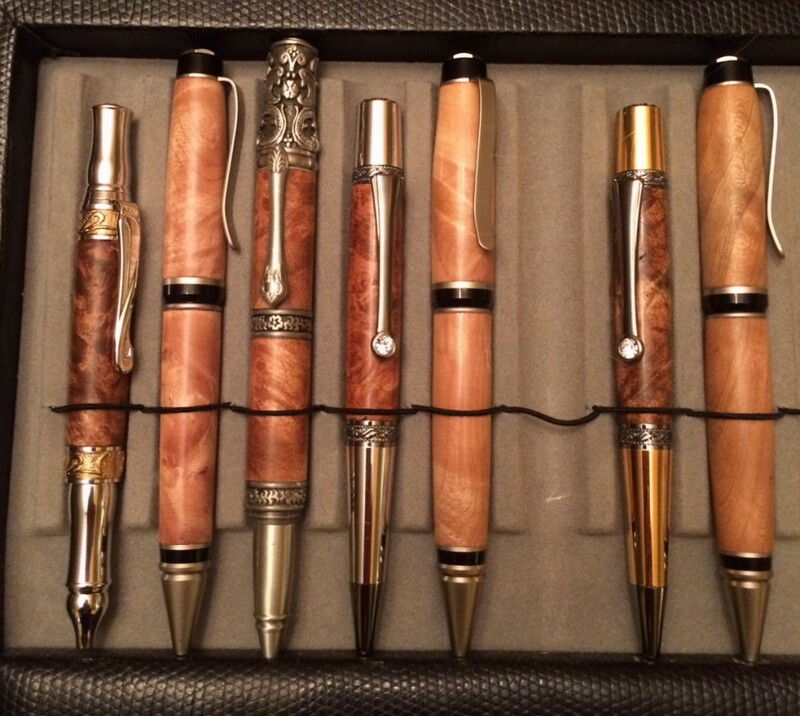 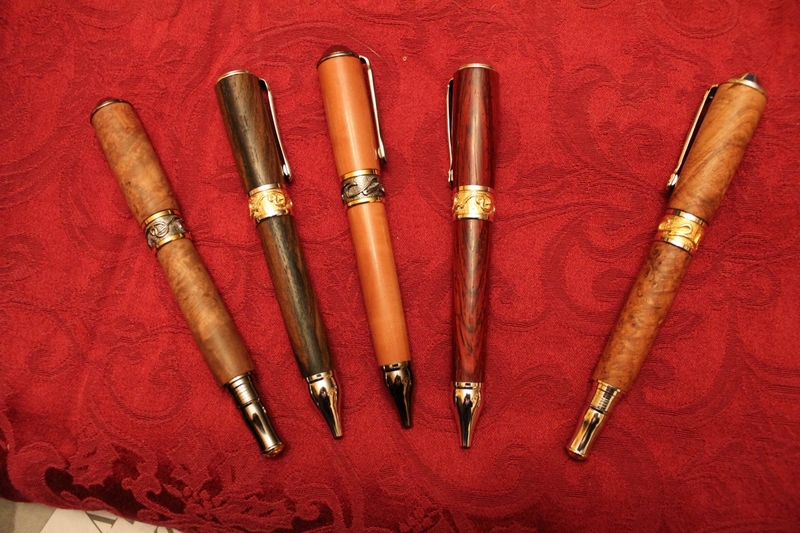 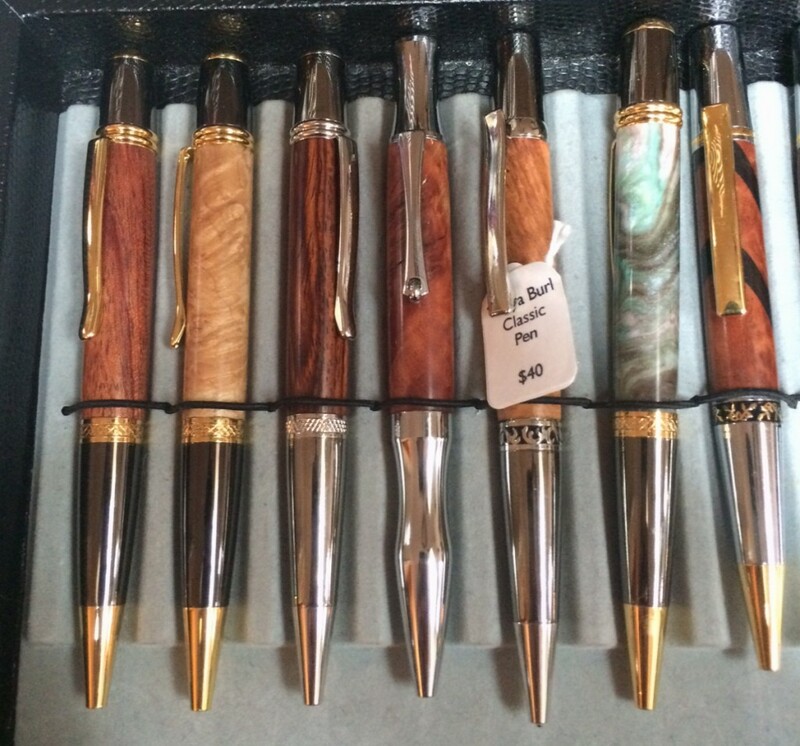 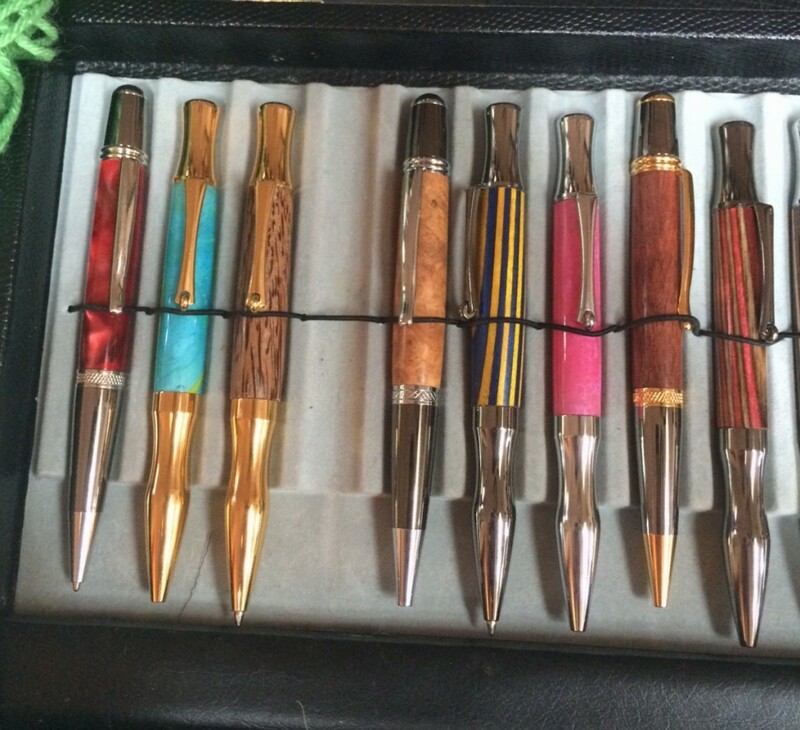 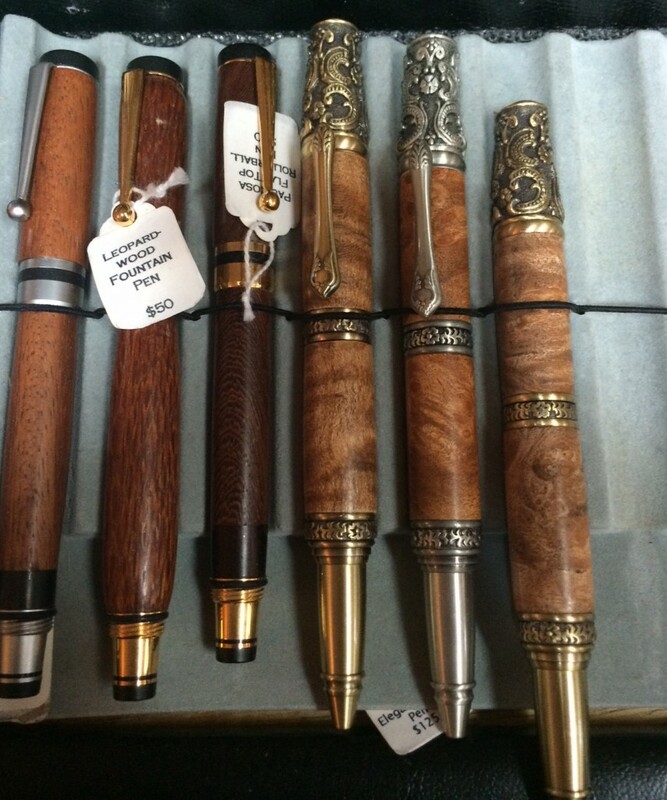 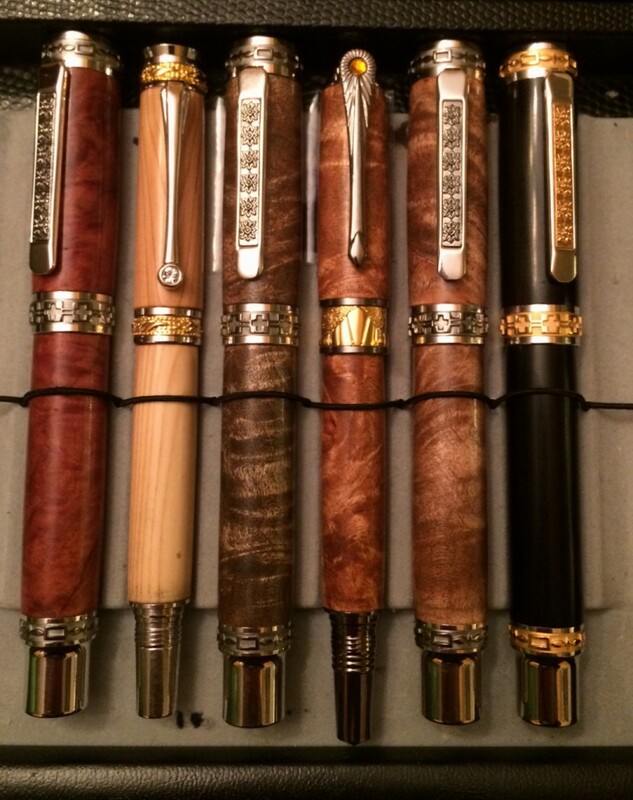 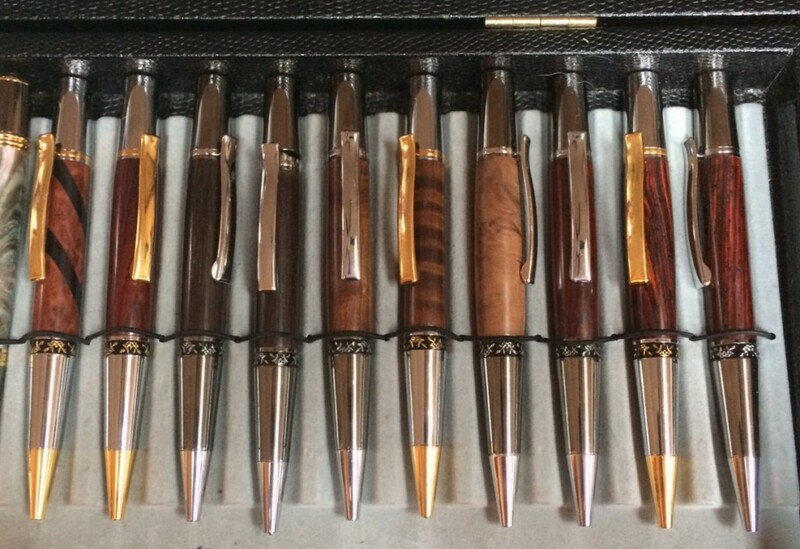 An additional collection of fountain and rollerball pens in a variety of lovely woods. 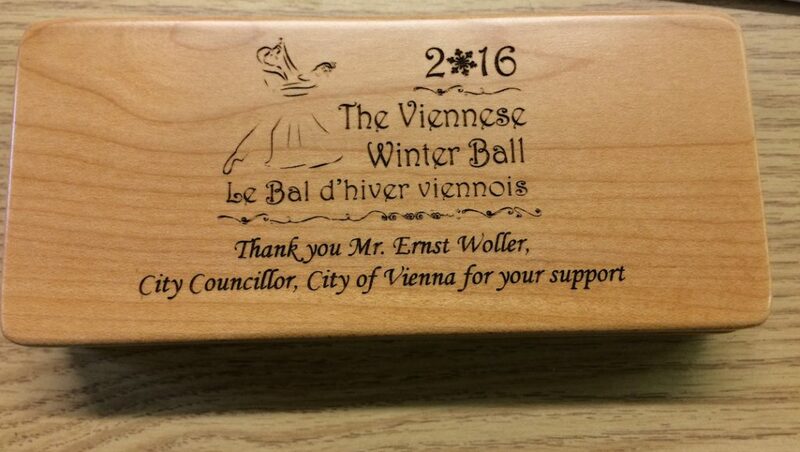 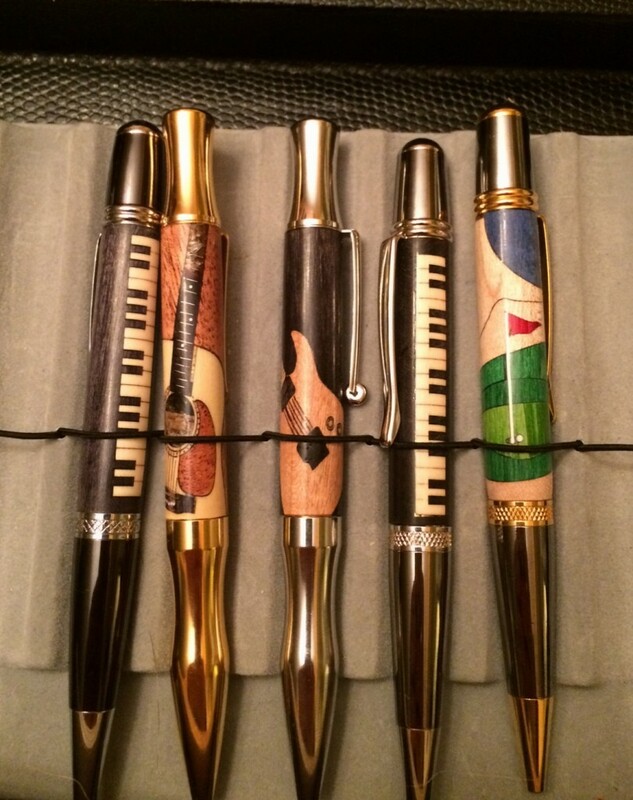 The piano keyboard is made from laser-cut pieces of wood assembled to the pen body. 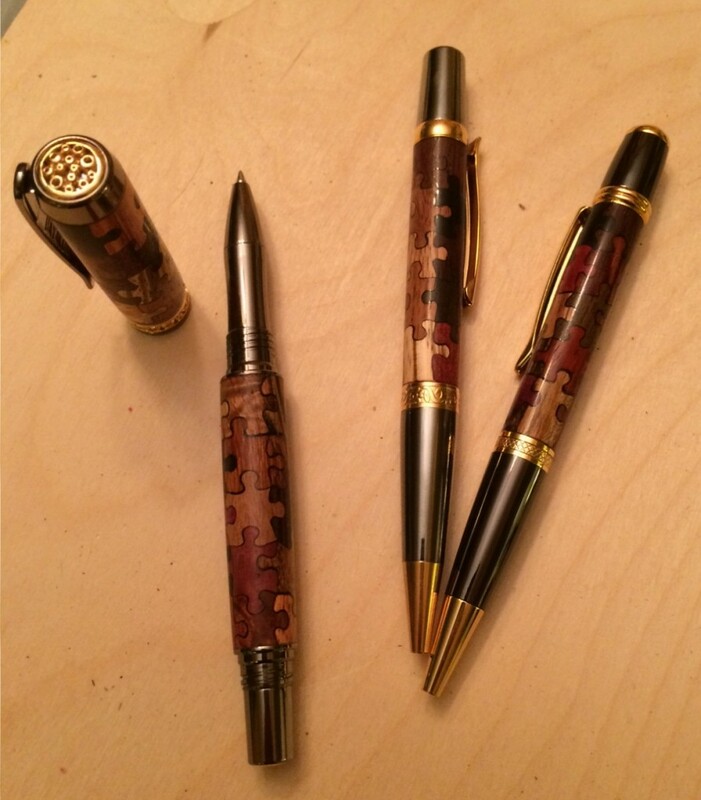 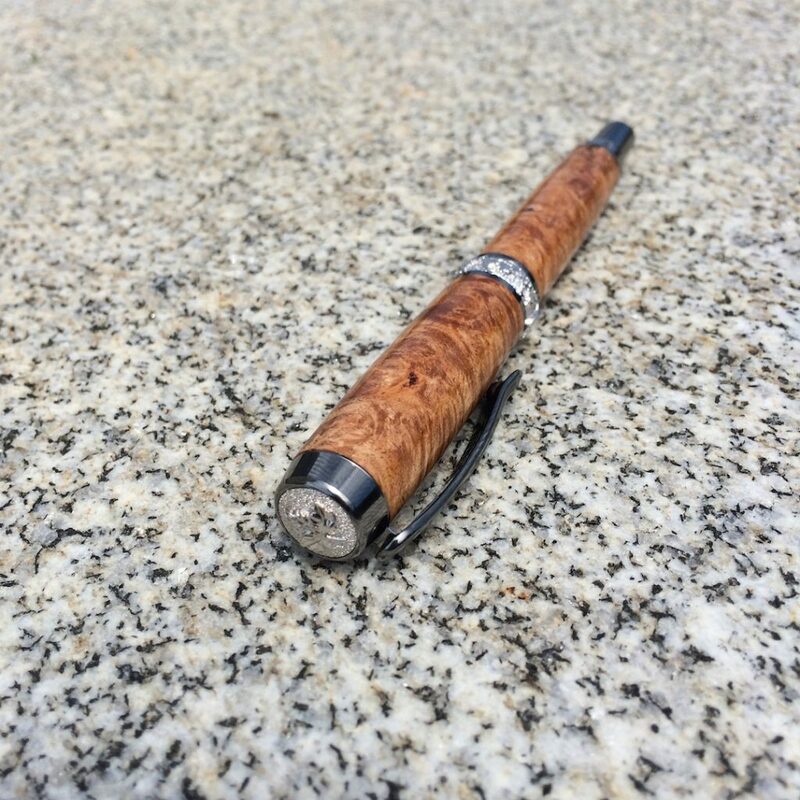 The most challenging pens: made from individual laser cut pieces of wood, and glued together around the pen body.